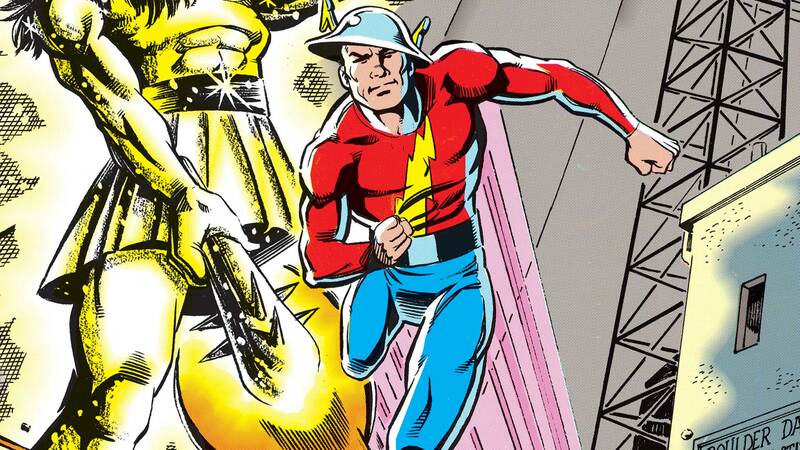 After a strange and bizarre laboratory accident, Jay Garrick awoke to discover he had gained amazing abilities—he could move at superhuman speeds, far beyond those of any normal man or woman. Donning a costume and stylized metal helmet based on the one worn by the Roman god Mercury, Jay used his powers to fight crime and protect the citizens of Keystone City. 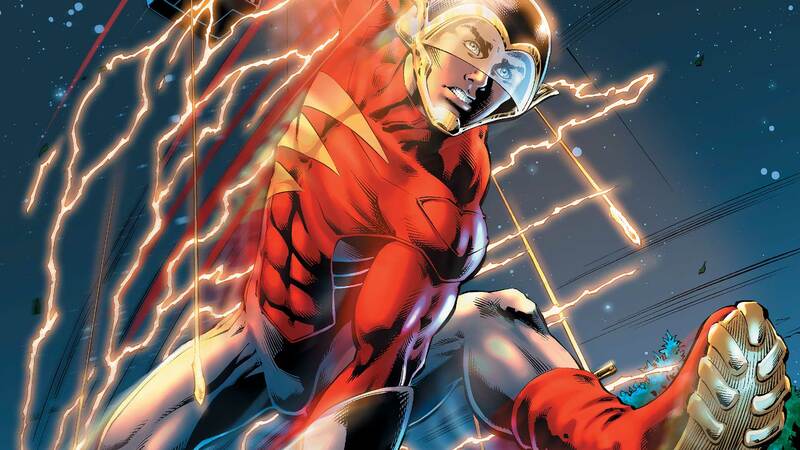 He became the Fastest Man Alive, the Hero of Earth-2, the Flash! A founding member of the Justice Society of America—whose ranks include Green Lantern (Alan Scott), Hawkman, Hawkgirl, Wildcat, Power Girl and more—Jay was one of the first super heroes of Earth-2, a parallel world to the main DC Universe and home to the heroes of the Golden Age. As the Flash, Jay battled many super-criminals and saved the world alongside his friends numerous times. But he forever changed not only his world, but all worlds when he met his Earth-1 counterpart, Barry Allen. 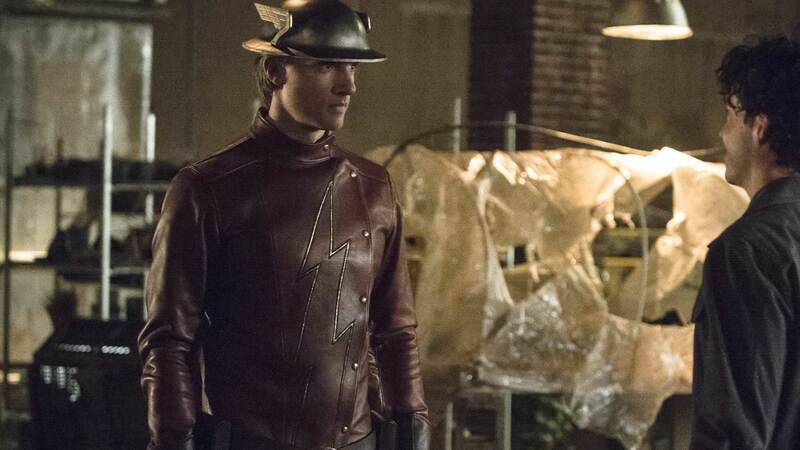 This famous meeting of the Flash of Two Worlds bridged the gap between realities and led to many team-ups, alignments and friendships between the heroes of both Earths. Together, the Flashes would join forces to battle Zoom, the Reverse-Flash, and many other super-villains. 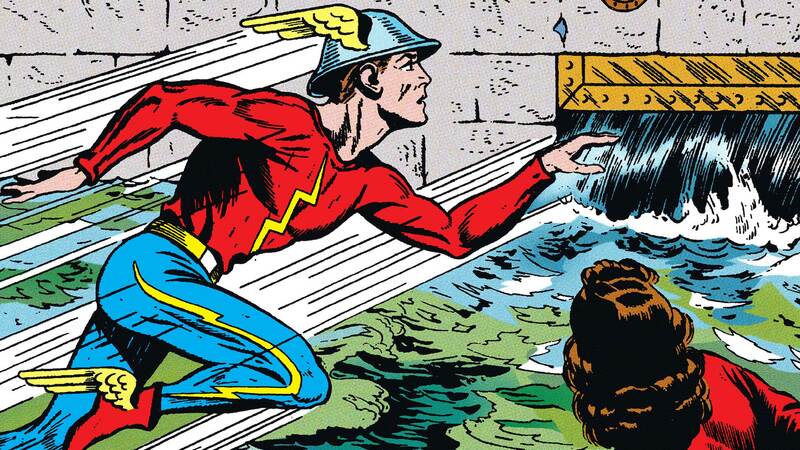 By tapping into the extra-dimensional Speed Force, Jay can move at speeds approaching the speed of light. This power also allows him to have faster than normal reflexes and grants him the ability to vibrate fast enough to obscure his features, preventing the need for him to wear a mask. His experience, compassion and kindness have led him to become a mentor to not only future generations of speedsters, but to countless other heroes throughout the DC Universe. To stop a spectral menace in the 21st century, the gang will have to travel back through time to solve the mystery before it even begins. On your mark, get set and go for part one of “Grips of Strength”! “RUNNING SCARED” prelude! Barry Allen is at a crossroads.